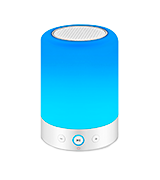 Easy wake-up mode will help you wake up easily: at a given time the lamp will turn on and the brightness will gradually increase, thus imitating the dawn. And then there is a similar function that will be effective for quickly falling asleep. Requires Philips hue bridge for the full experience. This LED-lamp is an element of Philips' smart home, with the help of which you can remotely control the light equipment of your home from the screen of your smartphone. The standard E27 base allows you to install it in any chandelier or lamp. The body here is made of durable and high-quality plastic, so that the risk of deforming the lamp is minimal if it falls from the table or pedestal. And thanks to the IP65 protection class, it can be safely used on the street, as it is immune to dust and moisture. Remote has a small radius. 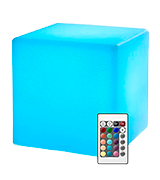 A stylish design, 16 million colours and many unique glow modes allow you to use this model as a night light to create pleasant lighting. Also, it is perfect as a children's night lamp and is especially relevant if the child is afraid to sleep in the dark. With the help of a sensitive microphone, you can answer incoming calls if the gadget is connected to a smartphone. You can also play music from external media due to the presence of a slot for microSD cards (cards up to 32 GB are supported). Take a long time to fully charge (around 3 hours). 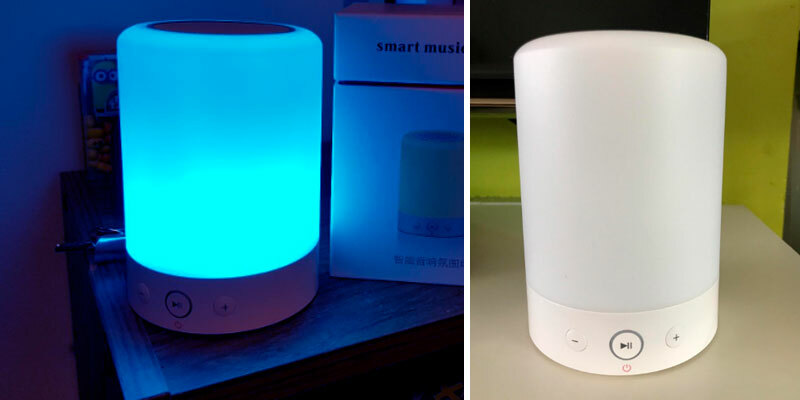 This low-cost model is a multi-colored lamp and a powerful Bluetooth speaker that creates a pleasant sound accompanied by light. Choose a light effect suitable for the atmosphere, turn on your favourite music and you will create the best atmosphere for any room. The projector rotation is controlled by an advanced motor, which produces virtually no noise during operation - this in no way interferes with your sleep. Even here, a timer function is provided so that the projector does not work all night if you suddenly fall asleep. Network operation requires purchase of a separate adapter. 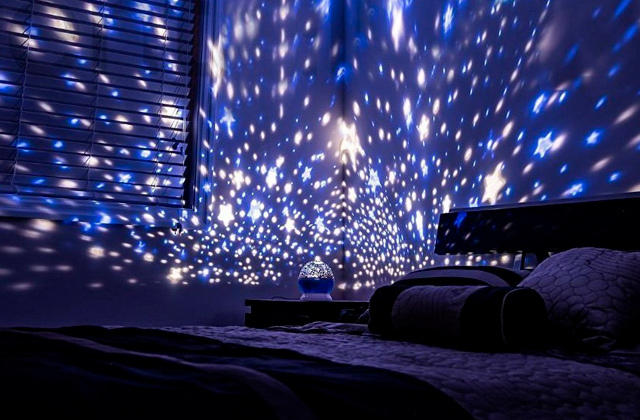 This model can be operated not only as a nightlight, but at the expense of the detachable dome performs the function of a starry sky projector. 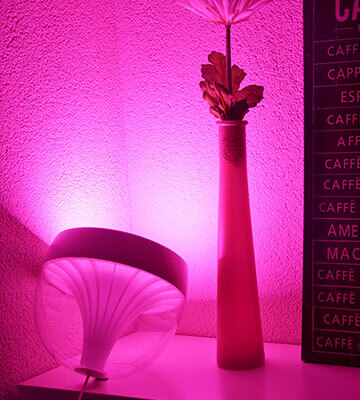 Moreover, due to the increased brightness of the lamps, it is quite enough to cover a room of up to 20 square meters. Thanks to 2 strip connectors in the kit, you can fasten several ribbons to each other, and thereby synchronise their colour gamut and glow modes. 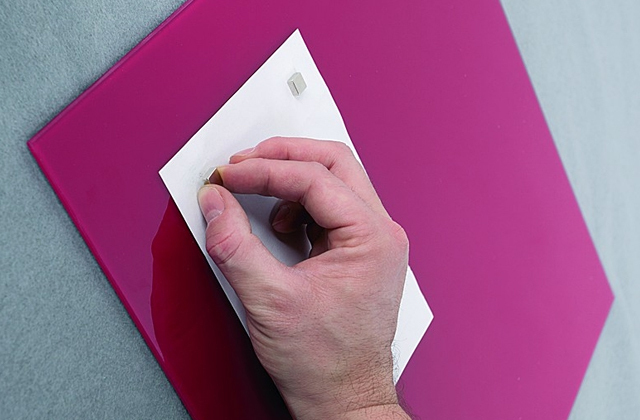 Adhesive tape allows you to fix the device to virtually any surface. 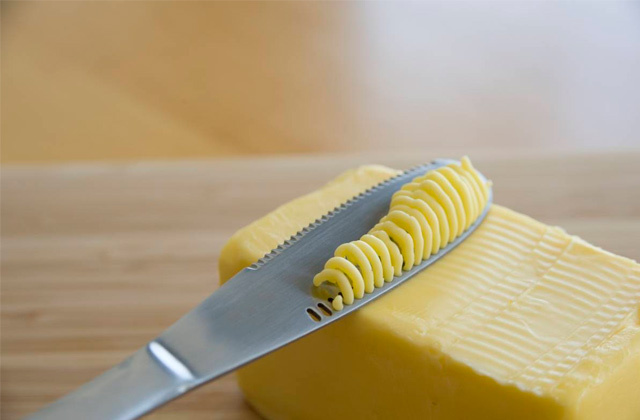 It is not recommended to place in rooms with high humidity levels. This model has a length of as much as 5 meters and includes 150 energy-efficient LED-lamps, so it is ideal for organising decorative lighting of residential premises, as well as dance floors, cafes and other recreational facilities. Having the ability to set specific lighting effects in your home used to be an expensive task, often involving extremely expensive specialised lights, which kept it out of the reach of normal people. Thankfully, those days are long gone, as even more impressive lighting effects can now be done with something that fits in a standard light socket. The Philips A19 E27 60W light bulb is a great example of this. With the ability to choose from millions of colours and even from 50,000 different shades of white, this LED light bulb can blow away the specialised lighting of old by providing you with the means to set your lighting the exact way you want. 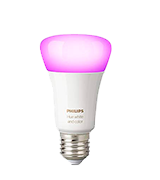 This light bulb was actually specifically made to work with the Philips Hue Bridge mood lighting controller, with which it can utilise its full potential, especially when working in conjunction with multiple lights. 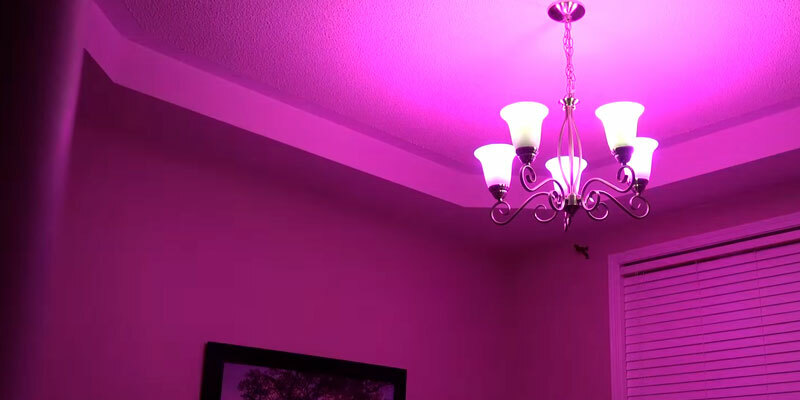 When using this technology, this light bulb gives you a vast array of choices on how to control the lighting, such as using the light as an alarm at a preset time of the day, or having it adjust the colour and intensity to set the right atmosphere, all of which can be controlled through the smartphone app, or even through home assistants like Google Home or Alexa. If you are looking for the ultimate experience in home mood lighting, this model working in conjunction with Hue Bridge is definitely the way to go. Anyone who has ever had children knows the importance of having a nightlight. These small lights can become a child's best friend, providing a small amount of light in the room while being dim enough to allow anyone to sleep comfortably. Most nightlights are pretty simple devices, though, with little more than an on/off switch, if even that. 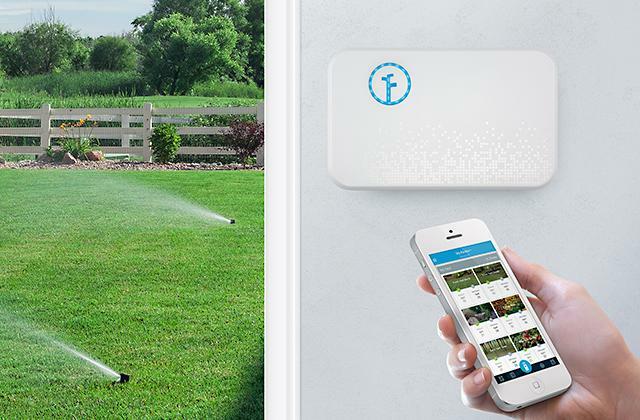 What about having something that can be more than just a nightlight? 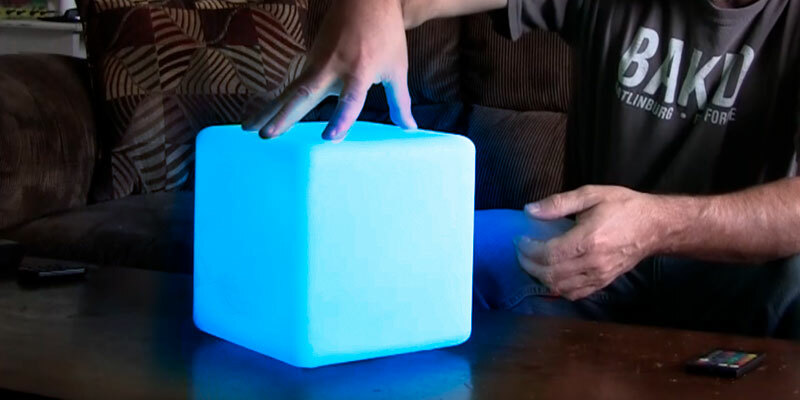 You certain can, thanks to the Mr.Go IP65 LED Mood Light Cube. This desktop lamp can serve as the perfect nightlight for children, providing 8 different brightness settings ranging from very dim to extremely bright, making it a perfect option for giving children some comfort at night. Of course, this light can do much more than just serve as a nightlight. 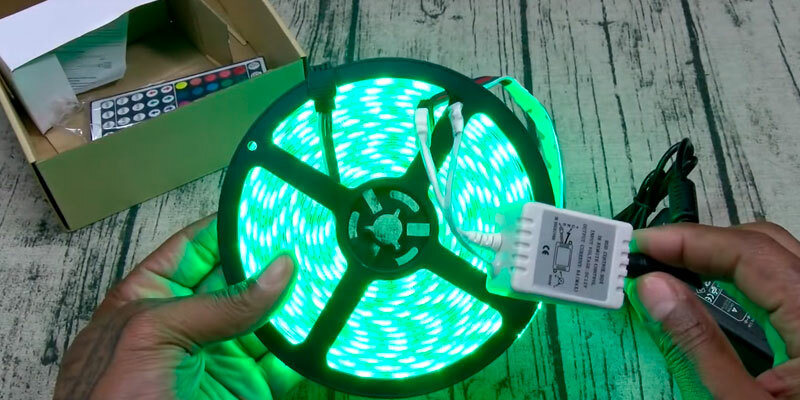 This LED lamp provides 16 adjustable RGB colours along with 4 different light modes, making it perfect for parties or get-togethers, or even while on the go. 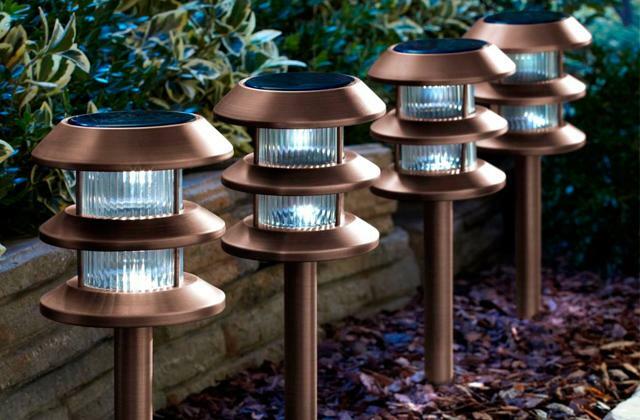 In fact, this lamp is IP65 waterproof, making it a great option for outdoor events in almost any kind of weather. The lamp is powered by an 1100 mAh battery that can last between 7 and 48 hours on a single charge, depending on the brightness used. The included remote control even lets you control the lighting without having to get up from your chair. If you are looking for something that can serve as both a nightlight as well as the perfect mood light for events or situations, this model may be the best mood lighting system for you. Most people have parties or get-togethers at some point in their lives, and those that do these frequently know how important it can be to entertain your guests. 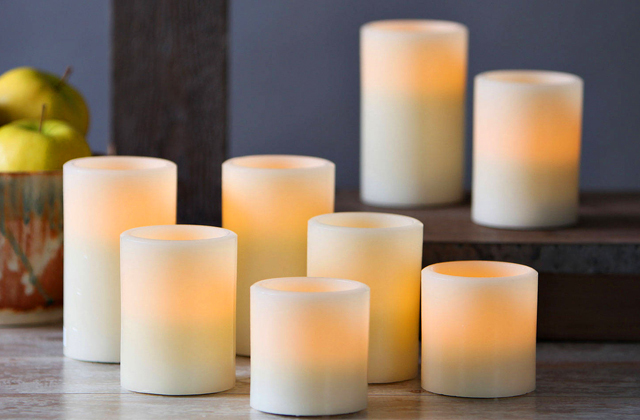 Having the perfect ambient lighting along with some nice tunes can make almost any social situation even better. Usually, doing this will involve the use of more than one device, but why not combine them both together? 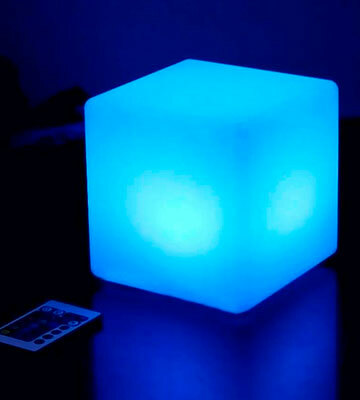 The MRCOOL L001 LED Speaker Mood Light does just that, with combining a mood light with a good quality Bluetooth speaker to create the ultimate mood setter for any party. 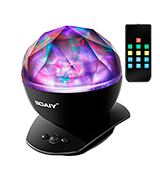 This tabletop speaker and mood light includes an FM radio, letting you use the vast array of music from your favourite radio station to set the mood along with an SD card slot for using your own personal music library. 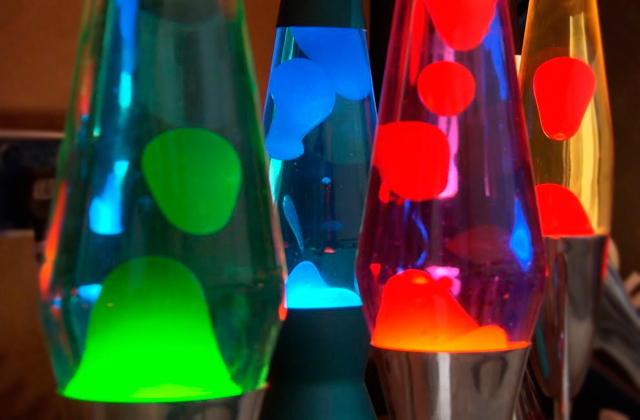 The lamp can display up to 16 million colours, and includes presets for four different light modes. 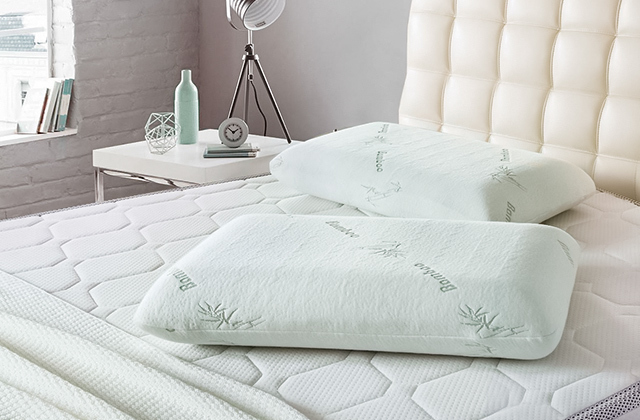 You can set it to use a warm light white with 4 different brightness levels, a Dynamic Light Mode that changes between all of the different colours, and even a hypnotic light mode with red light that can help you fall asleep. The rechargeable 2200 mAh battery can power the device for up to 18 hours on medium brightness level, giving you plenty of play time with your favourite music and lights. 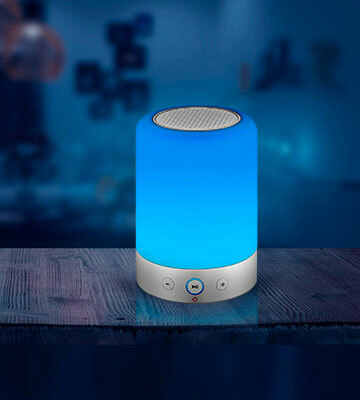 With these and many other features, this Bluetooth speaker and lamp will be the perfect mood setter for any situation. Most of the mood lights that are on the market are ones that are simply meant to show simple lighting in one of a choice of colours. Most do not have much use beyond providing simple lighting for a room, even those with some additional features. Of course, not all mood lights are like this. 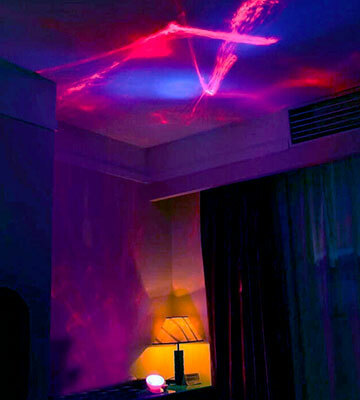 The SOAIY Light Projection Lamp Color Changing LED Night Light is one example of this, as it provides spectacular light patterns across the ceiling of a room. 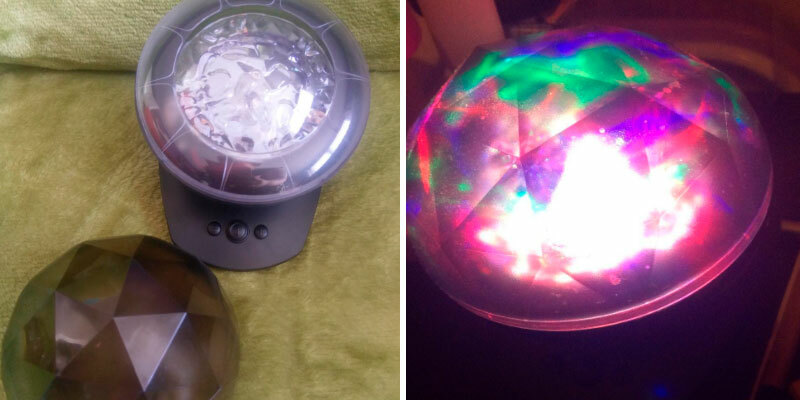 This LED mood lighting unit includes a dome that functions as a multicoloured mood light, showing impressive light patterns similar to most other mood lights. However, once the dome is removed, you can use it to project the aforementioned patterns in virtually any room, as it can support a room of up to 20 square meters. This mood light includes a remote control that lets you control the different options without having to get up from your chair or bed. The unit is powered by an included USB power cable, which can connect either to a computer or to a USB mains plug. 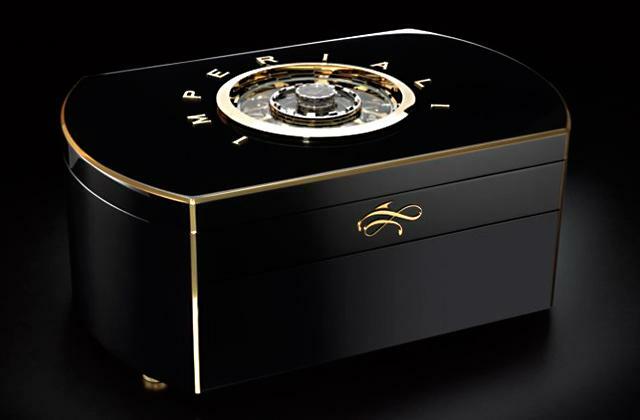 There is also a built-in speaker that lets you play music through a connection via audio cable from a mobile device. If having spectacular light pattern effects sounds like an ideal night light to you, then this colour changing mood lighting system will definitely not disappoint. Most of the mood lighting systems discussed here have been standalone lamps that are often meant to work mainly as nightlights. However, some people prefer having mood lighting that is a bit more complex than this. The MINGER 5050 LED Strip Light is a mood lighting system that is meant for people such as these. This system consists of ribbons of LED lights that can be placed indoors anywhere, providing a highly impressive system of lighting that is sure to dazzle anyone who sees it. 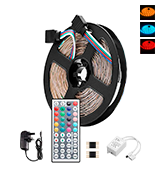 This system allows for the LED rope lights to be cut between every three lights, giving you a great way to spread out the lights and even create patterns with them. The lights can be affixed to virtually any surface with adhesive tape, so no complicated tooling is required to install them. The LED lights themselves can change colours just like most other mood lighting systems, with 16 multicoloured options, as well as the ability to have custom lighting options included. The system is controlled by the included IR remote control, letting you switch through the different lighting options from anywhere inside the room. Thanks to the high flexibility of this mood lighting system, you can decorate not only your bedroom, living room, or kitchen, but a dance club or other social area with your own personally customised mood lighting. Lighting can be a very important factor in setting the mood and atmosphere of a particular place. Whether it be a party, hanging out with friends, a romantic dinner, or even just trying to fall asleep, the lighting of a particular room is one of the most important aspects of providing the right feel for a given situation. Mood lighting is usually done by using lights that can not only emit different coloured lighting, but also change the intensity as well as use pre-set patterns for helping to set the right mood. 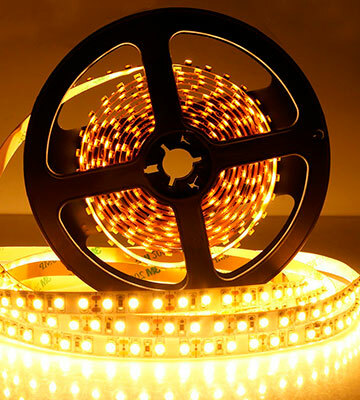 Mood lights come in many different shapes and sizes, but the one main thing that is common with almost all of them is that they use LED lights to create the desired lighting effects. Many of these LED lamps can produce an array of a mind-boggling 16 million colours, ensuring that you can always find the right light for the right situation. 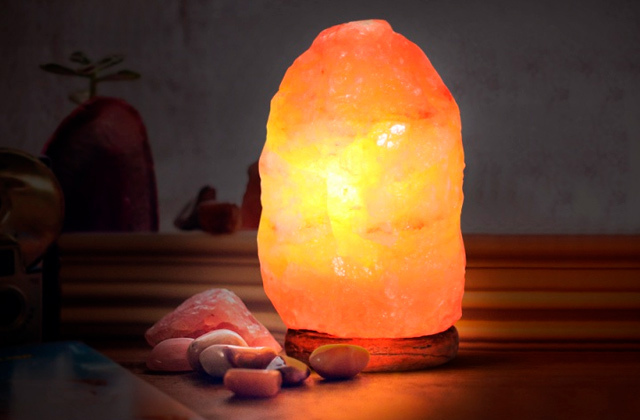 The most popular mood lights tend to be standalone tabletop lamps, but there are also LED light bulbs that you can buy that will fit in any standard home light socket. Some of them will even have extra abilities, such as being controlled by a separate remote or a smartphone app. 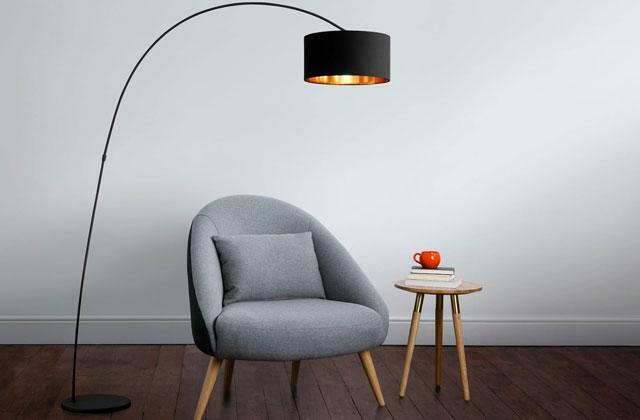 If you are wanting a good floor lamp to utilise the best mood lighting to give your home the right atmosphere, take a look at our reviews of five of the best models available.